The tour starts on the Museum first floor, which was renovated on June 12th, 2010. 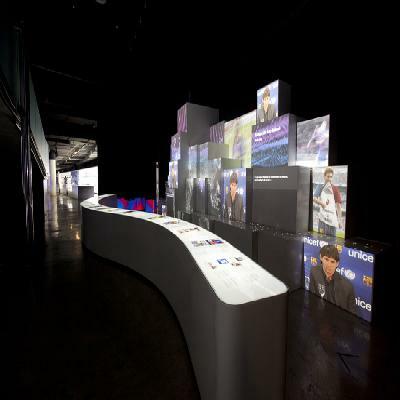 Explore this modern museum with its large-format interactive walls, new showcases and a vast collection of objects that show FC Barcelona's history. 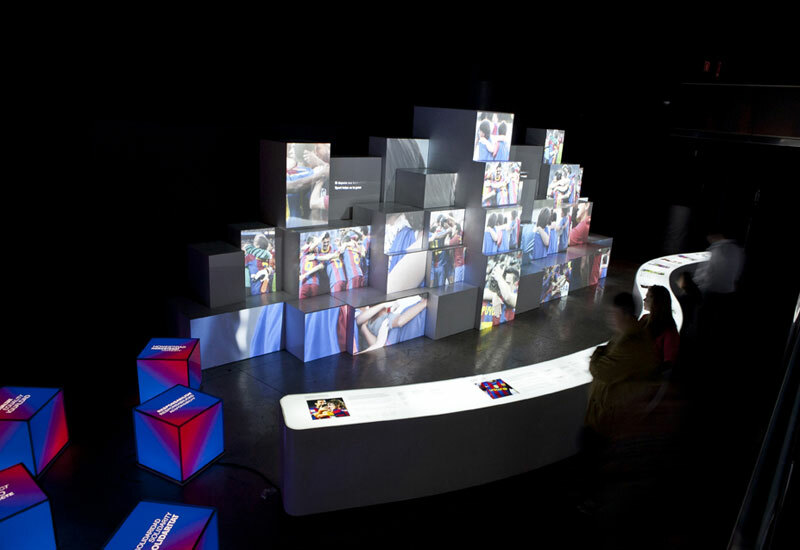 The whole museum illustrates the values that made Barça “more than a club. The Camp Nou Experience recalls the players that have made history for this famous organisation, like Kubala, Cruyff, Maradona, Guardiola and Ronaldinho, to name a few. Feel the Barça passion when you visit the most iconic Camp Nou areas: including the visitors’ changing room and the tunnel onto the pitch, where you can feast your eyes on a panoramic view of the entire stadium. 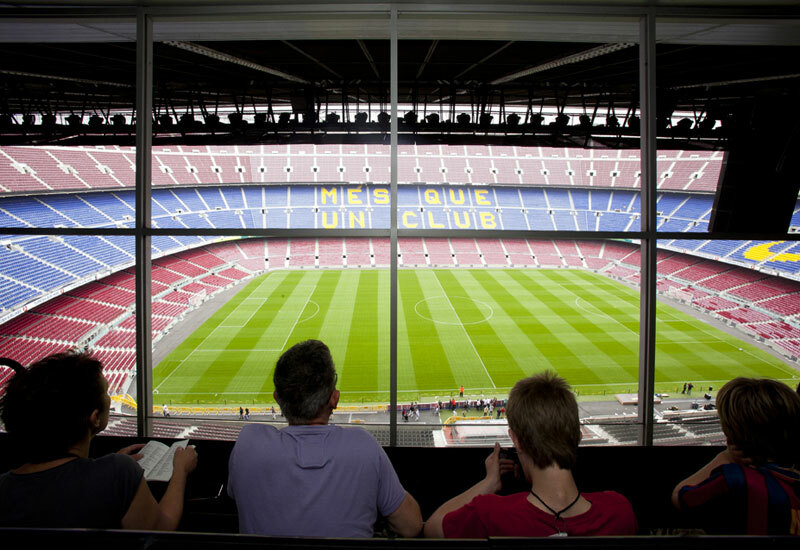 This is where football fans can have a sense of just what it is like to be a Barça player. 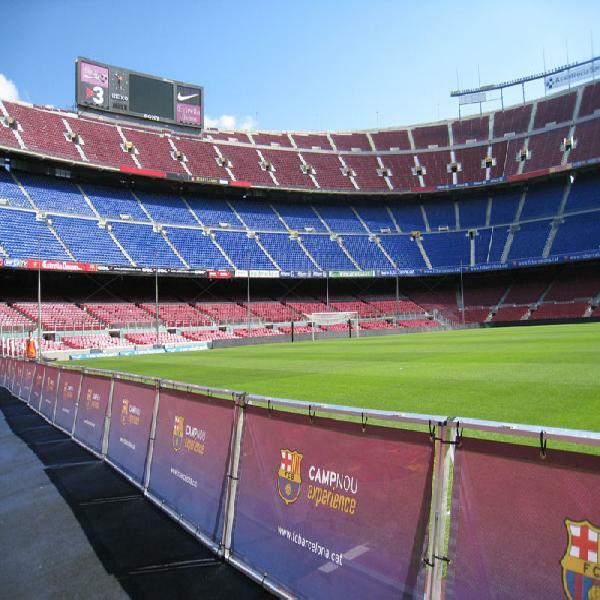 Will it make all your dreams come true? You carry on to the television studio, the mixed zone, the pressroom and the commentator boxes. 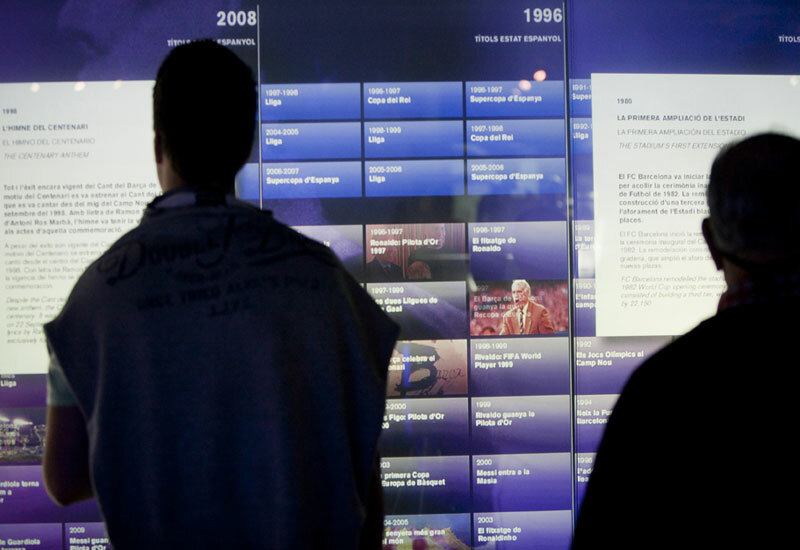 The tour concludes on the second floor, where you can visit the interesting multimedia space. 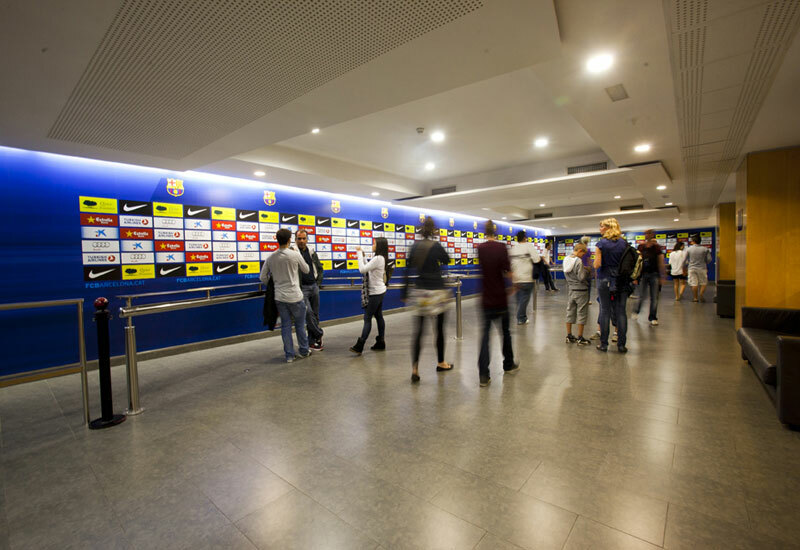 It was renovated in January 2010, to great acclaim from members and visitors alike. 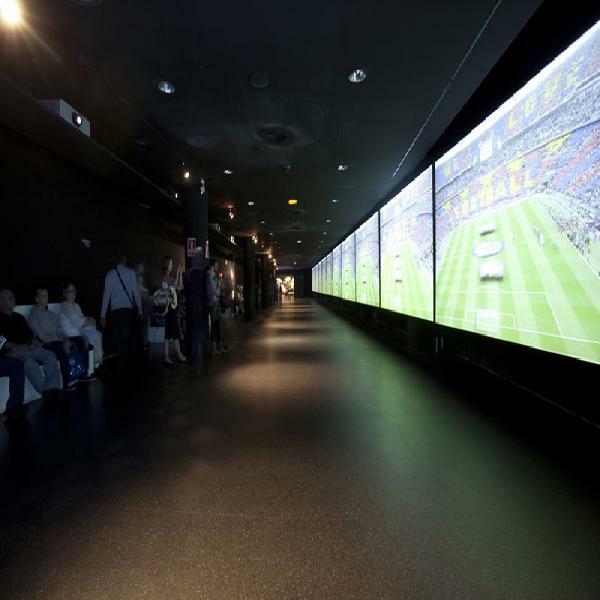 The suggested visiting time is about an hour and a half long. 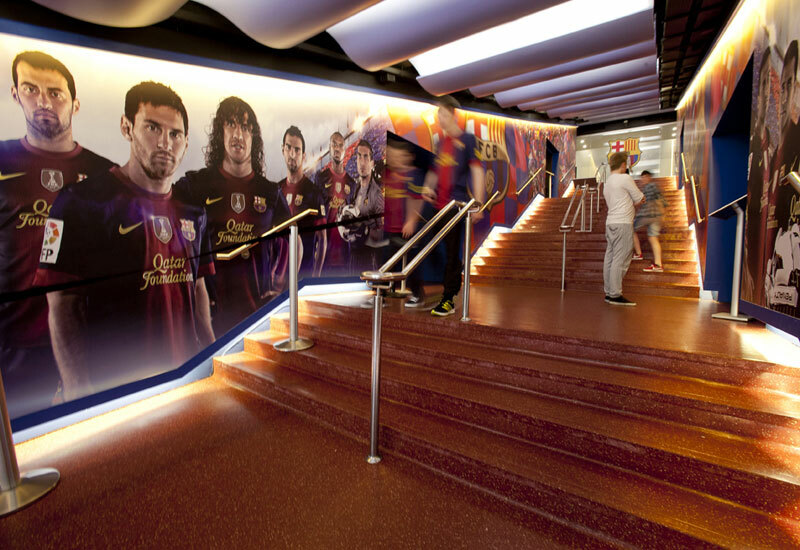 For structural reasons, and because of the many staircases on this tour, the Camp Nou Experience is ill suited for people with physical disabilities. • According to the schedule of matches, training sessions or special events FCB reserves the right to change the schedule, routes or close part of the museum tour. Please be informed before the visit. •	Days of La Liga or Spanish Cup matches: The Tour will be closed all day. The Museum will be open up to 3 hours before the start of the match (with a stadium visit from the second tier included) and will re-open 90 minutes before the match up to the start of said match. 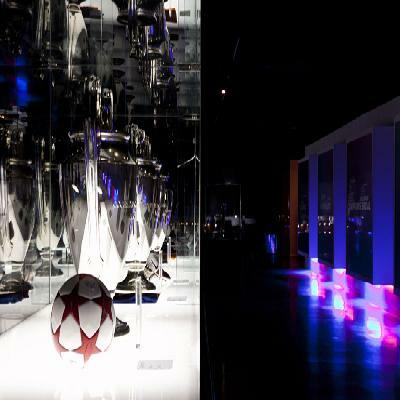 •	Champions League match days: The Tour will be closed all day and you can only visit the first floor of the Museum until 3 pm. The day before, the Tour route will be modified giving access to all areas except the 2nd floor of the Museum.Please check word file, as there is table with times. Not available on 01 Jan, 25 Dec. Others to be consult. Cancellation Policy 24 Hours Free Of Charge. Less Than 24 Hours Or No Show 100%.